There are plenty of opportunities to collaborate with like-minded organisations and the University’s knowledge base. You’ll be in very good company, too. Have a look at your new neighbours. 3DG Design is a technical design service using latest 3D CAD software for clients in the product design and retail industries. Services for design projects include 3D model generation, detailed manufacturing drawings, simulation, product rendering with optional onsite development and prototype support. 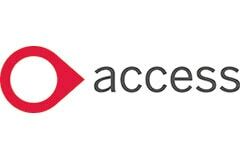 Access is a leading author of fully integrated business management software, with a client base of more than 10,000 UK businesses and not-for-profit organisations. The company has major offices at LUSEP and is amongst the top five fastest growing UK software developers in The Sunday Times Buyout Track 100. On-going commitment to excellence, customers and employees has also placed the company among the UK’s top employers in The Sunday Times’ 100 ‘Best Companies to Work For’ for a number of years. Action Deafness is a Deaf-led UK charitable company delivering services in face-to-face & video interpreting as well as community & personal care support services. Launched in 1998, Activity Alliance (previously known as the English Federation of Disability Sport) is the umbrella organisation for disability sport in England. Activity Alliance brings together the eight National Disability Sport Organisations recognised by Sport England. A dozen eggs are a design, web and branding agency. We design beautiful printed media; we build fantastic yet functional websites; and most importantly, we bring brands to life and make them shine. From the big ideas to the finer details a dozen eggs offer a full range of creative services. Alcuris is a digital healthcare technology startup, creating a revolutionary telecare platform. We aim to prolong the independence of vulnerable individuals, provide reassurance to their family and carers, and produce actionable data for local authorities. Alliance Events is an independent security and stewarding contractor that harnesses the talent in university students and supplies them work at festivals and events. The organisation focuses its recruitment on highly educated individuals due to their intellectual, presentable and approachable qualities that make them premium quality and very desirable event staff. 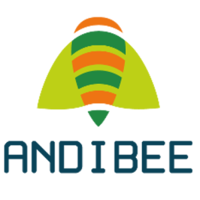 Andibee is a startup that draws on the decades of relevant expertise from the founders to deliver innovative products and turnkey services. It designs and builds electronics hardware for a range of clients, with particular expertise in communications systems (GSM, LTE, Bluetooth, WiFi, LoRa) and real time operating systems. 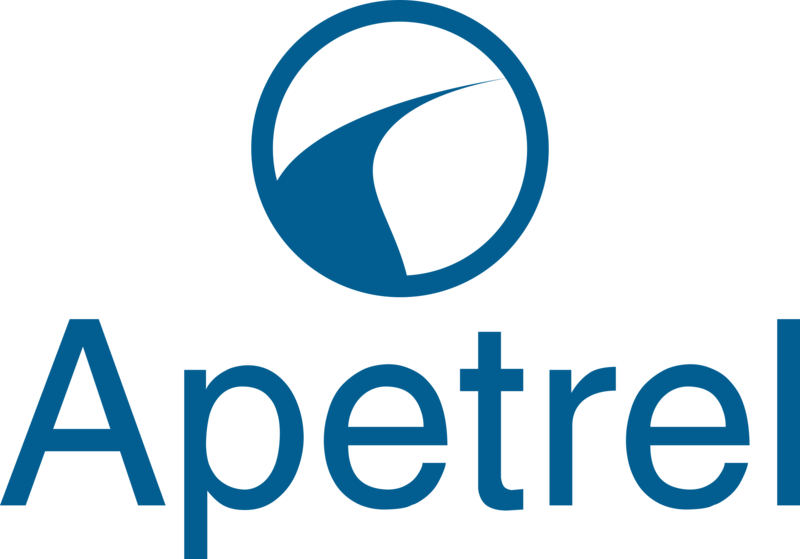 Apetrel is a start-up company developing software systems that support electric vehicle (EV) use. We are back-office partner with Cenex in operating the UK government's National Chargepoint Registry (NCR) on behalf of OLEV. The NCR is the government's wholesale source of chargepoint infrastructure data. Apetrel is also focussed on developing innovative products for optimising the use of EV charging technology within enterprises and at the workplace. Appeclectic Ltd specialises in developing applications for iPhone and iPad platforms. Current products are focused on providing informative and innovative apps for travellers and people interested in the aviation industry. Three products exist under the mi Flights brand; mi Flight Tracker provides flight tracking coupled with status and delay updates for most commercial flights across the world, mi Flight Radar provides enthusiasts with an air traffic control style situational map for any area in the world showing the location and details of commercial aircraft, and mi Flight Board provides departures and arrivals status boards for any commercial airport in the world. Lauren Page has developed a stroke rehabilitation device 'Aulm' which supports progressive physiotherapy for people recovering after a stroke. The product encourages the gross movement of the patient’s arm and shoulder, enabling them to carry out rehabilitation exercises at home – without professional supervision – not just every two or three weeks during a hospital visit. b our bridge is a product and service, facilitating cashless donations to the homeless which can only be redeemed responsibly (food, shelter, education and long-term savings). As the National governing body for athletics, overseeing the development and management of the nation’s favourite Olympic and Paralympic sport, from grass roots through to podium level, British Athletics is a high performance focused organisation. Having been through the natural post Olympic and Paralympic review process British Athletics has re-defined its strategy with a focus on Rio 2016 and London 2017. With a very clear focus on medals at the World, Olympic and Paralympic Games, British Athletics has implemented a centralised strategy forming the National Performance Institute at Loughborough University whilst maintaining targeted support to highly performing athletes and coaches outside of the Institute. British Swimming is the National Governing Body for Swimming, Diving, Synchronised Swimming, Water Polo and Open Water in Great Britain. It is responsible internationally for the high performance representation of the sport. The members of British Swimming are the three Home Countries national governing bodies of England (ASA), Scotland (Scottish Swimming) and Wales (Swim Wales). British Triathlon Federation is the national governing body of Triathlon, Duathlon and Aquathlon in Great Britain, responsible for leading growth and performance of the sport. In particular, these responsibilities include the preparation of GB teams to compete in European and World championships and the Olympic Games. British Triathlon aims to promote excellence in our sport, and create opportunities for everyone to achieve their personal triathlon challenges. The British Wheelchair Basketball Association is the governing body for wheelchair basketball in the United Kingdom. It is a registered charity and is the representative body of wheelchair basketball in England, Northern Ireland, Scotland and Wales. BSI is a global provider of standards and assurance services, including evaluation of products and systems. Its Loughborough test laboratory operations manage the evaluation (for safety, energy efficiency or fitness for purpose) of a wide range of gas and electrical products covering the domestic, commercial and medical sectors. 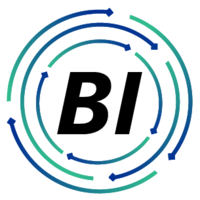 BIAS' mission is to help their clients on their Data Journey by implementing analytical platforms and solutions to their customers to enable Data-Driven strategies driving incremental business value from their existing data resources and technology assets. CASCAID is the leading producer of computer-based impartial careers information and guidance solutions. Consultancy in Vehicle Technology Research & Development, with a focus on driver, occupant and vulnerable road user safety, lightweight body technology and electric vehicles, and vehicle regulations worldwide. Crash and crash avoidance testing for research, development and legal compliance, advanced and autonomous vehicle safety using GPS and GNSS location, including eCall and ERA-GLONAS emergency call systems and crash scene data collection. Cenex is a leading independent consultancy and project delivery agency in low carbon vehicles and fuels. Cerebrum Matter is a med-tech focusing on dementia. We are developing new technologies in both Therapeutic and diagnostic platform aiming at improving the quality of life of dementia patients. CIMSPA is the only national professional body for those involved exclusively in providing, managing, operating and developing sport and recreation services in the United Kingdom. The Institute is a registered charity. CommAgility is an award-winning, world-leading developer of embedded signal processing and RF modules, and LTE PHY/stack software, for 4G and 5G mobile network and related applications. We design the latest DSP, FPGA and RF technologies into compact, powerful, and reliable products based on industry standard architectures. Our LTE software for mobile devices and wireless infrastructure includes physical layer and protocol stack for small cells, physical layer and protocol stack for terminals, an advanced scheduler for small cells, and IP development in the areas of advanced PHY algorithms on multi-core SDR platforms.CommAgility was honoured with two Queen's Awards for Enterprise: Innovation in 2016 and International Trade in 2013, has appeared in the Sunday Times Hiscox Tech Track 100 list of fastest growing technology companies in 2015, and featured in the Deloitte UK Fast 50 in 2013 and 2012. Focusing on running an online community for young adults and teens, C&Y aims to provide a place to inspire and develop creative writing through online courses and workshops. Diva Brown spreads empowering messages and hope to women from all walks of life to aspire to be successful by being passionate confident and determined. DNV GL is the leading technical advisor to the global oil and gas industry, working with some of the sector’s best known companies to enable safer, smarter and greener operations in every hydrocarbon-producing country in the world. Through world-class technical assurance, advisory and risk management services, DNV GL helps customers to perform on time and to budget, even in the most demanding environments. Dynamic Flow Technologies Limited was formed in 2009 at the Loughborough Innovation Centre, we saw a need in the water industry for an effective low cost wastewater meter. In just six years we have grown our company with c£1.4m investment from companies and individuals who saw the opportunity for a wastewater meter. These include: Elster Meters, Wessex Water, the Technology Strategy Board (Innovate (UK)) and the Board of Directors. Our technology is IPR protected, the UK patent was granted in September 2014 and further patents are currently pending. We hope that our technology can be at the forefront of wastewater metering for many years. ELUXI specialises in the supply of standard and bespoke photonics products for the UK and Irish markets. Working exclusively with select global suppliers, we focus on the provision of the very best in leading edge photonic solutions, optimised to meet the needs of industrial, medical, defence and research organisations alike. Energy Simulation Solutions Ltd (ENSIMS) specialises in providing cutting edge computing services and cloud-based software tools for the architectural and construction industry, with a focus on energy efficient and low carbon designs. Our three core technologies are all originated from academic research. The JESS online simulation service is the first and the most robust service of its kind for building simulation users. The JEA Optimisation Engine is a Software as a Service platform that brings intelligent decision support to the built environment. The JHDTS human model enables dynamic simulation of individual behaviour for both design and post-occupancy investigation purposes. Based on these technologies, ENSIMS provides R&D, consulting services, and software packages to help clients create customised solutions of their challenges. The England and Wales Cricket Board was established on January 1 1997 as the single national governing body for all cricket in England and Wales. It has its headquarters at Lord’s Cricket Ground in London. They are situated at SportPark. 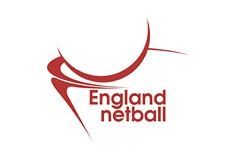 England Netball acts as the National Governing Body and is a membership, not for profit, organisation covering all aspects of netball from grass roots to elite athlete participation. The Netball Centre on the Loughborough University campus hosts the East Midlands base. Elite Sport Fitness is a sport performance technology company that provides training monitoring methods and tools for coaches and athletes. Founded and directed by world class athletes, consultants and coaches, ESP’s extensive knowledge base is further reinforced by academic excellence in sports science and engineering from Loughborough University. Forest Rock is a software development and engineering business leading innovation in the Internet of things (IoT). They bridge the gap between IT and engineering, providing IT-based management systems for buildings and infrastructure. 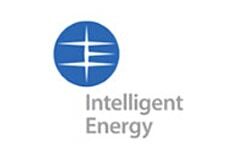 Their software solutions are used across a diverse range of applications such as Controls & Automation, Energy & Power Management, Smart Buildings, and Smart Grid. Fuel My Performance provides individual athletes, clients and sports teams with access to qualified nutrition support, with the focus on maximising training adaptation, performance and recovery. For nutritionists, the software provides the correct tools, resources and client management platform to help facilitate the growth and success of their business. The product for menopause, ‘Grace’, aims to automatically detect and fend off hot flushes before a woman realises she is having one. Development on Grace first started as a student project at Loughborough University where the founder studied Industrial Design & Technology. HARKII is a dynamic digital media brand focusing on independent musicians, creative audio and sound research. HARKII.com is the online hub for its original content, and it also manages multimedia content on various platforms, with future plan to transform how talents in audio industries communicate and promote their works. Hedkayse use various technologies to make safe, innovative sports kit featuring their proprietary and fully European standard-approved material capable of withstanding multiple impacts. Products include the world’s first multi-impact, safe, foldable cycle helmet. Hive composites Ltd are a company that is conducting in house research into the development of a range of innovative new composite products, including crash friendly composite sign posts and street lights, Electrically resistant cross arms for pylons and spoolable thermoplastic composite pipelines for the oil, gas and water industries. Honey Skin Care strives to enhance emotional and physical well-being by providing natural skincare products proven to enhance skin health. Honey Skin Care products are specifically designed for sensitive skin, and are ideal for people who suffer with conditions like eczema. Rebecca Hyde provides bespoke gift bags for a of diverse range companies and events with the initiative to expand to providing a catalogue of products as well as producing packaging. INCUS Performance is combining the power of advanced wearable technology, data analytics and artificial intelligence to develop the next generation in wearable sports performance monitoring systems. 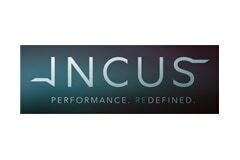 Incus devices and proprietary machine intelligence software provide highly individualised and detailed technical information for athletes and their coaches to truly understand the relationship between their technique and performance. Better technical understanding leads to more economised and effective training, which leads to performance improvement, medals and the chance to make history. In-Cycle is a research and consulting company working to improve the resource efficiency of consumer products and their packaging through smarter end-of-life thinking. Main services include: conducting feasibility studies to find technical and economic means to recover products at end-of-life, performing R&D into new recycling technologies and/or improvements of existing processes, resource efficient product design improvements through the application of ‘design for recycling’ and the use of low environmental impact recycled materials, working with reverse logistics specialists to design and manage a suitable product-take-back scheme and assessment of a products environmental impact and help in obtaining a range of international eco-labels. Innospective Limited is a consultancy and project management service that supports the development of high quality research into high value, early stage discovery of innovative medicines and healthcare technologies. Working with private and public biotechnology companies, university tech transfer offices and venture capital groups, Innospective provides an in-depth technical and commercial assessment of projects that will determine the market potential of intellectual property, to identify and then drive further research plans that would build confidence in a business proposition and attract investment for progression towards clinical evaluation of a lead asset. 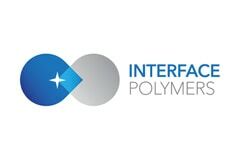 Interface Polymers Ltd is a high potential spin-out from the University of Warwick's chemistry department. Taking a cutting edge breakthrough in polymer science, we are developing a substantial international additives business that will transform the properties of the world’s most commonly used plastics. LRS aims to provide the single source of sport and physical activity information for players, partners, organisers, coaches, supporters and the media in Leicestershire and Rutland. LikeMind Media works with businesses in all sizes and sectors to improve their digital marketing and customer relationship strategies. By focusing on the technical elements, such as how businesses can gather market intelligence by using social media data, LikeMind Media provides KPI focused software, training and consultancy that help meet businesses’ objectives. One of the world's leading providers of innovative visual information technologies, MechDyne bends technology in ways that transform complex data into insights and ideas. 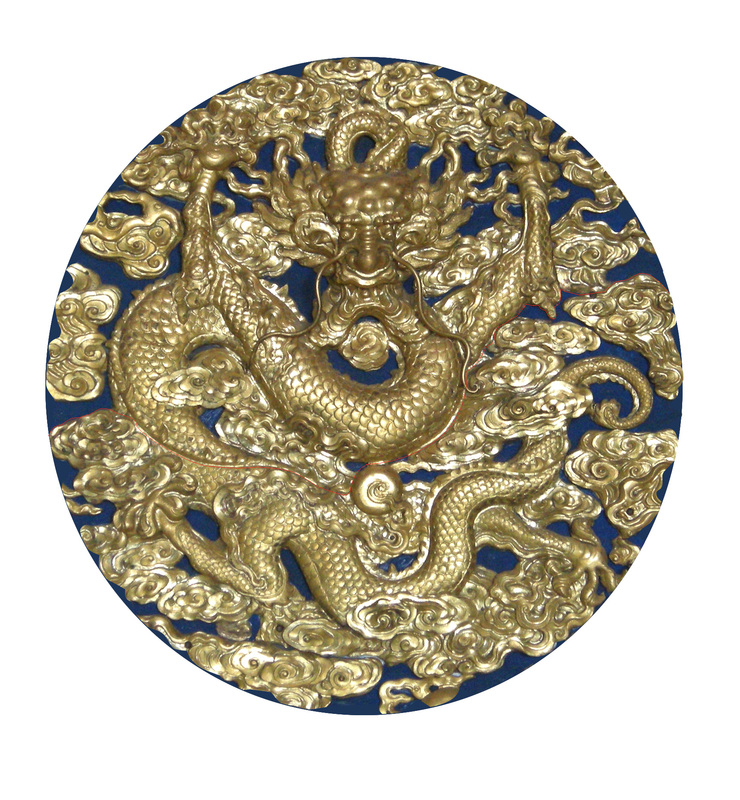 Clients include leading government laboratories, energy companies, universities, manufacturing and design firms. Specialities include Innovative Visualization Display Solutions, Software Products and Services, Audio/Visual Systems and Services, Immersive 3D Visualization Environments, Collaboration & Learning Centres, Global Technical Service and Support, Technology Design and Consulting. They are situated at the Michael Pearson Building. Medsyndesign is a synthetic and medicinal chemistry consultancy aimed at pre-clinical drug discovery projects and fine chemical / novel material development. Its work with Pharma, Biotech and Academic research groups provides modern medicinal chemistry input into Drug Discovery programs at the Hit Evaluation, Lead Optimization and CD selection stages. Its work with the fine chemical and novel material sector involves synthetic chemistry and design. Merlin Powder Characterisation test, measure and characterise a wide range of powder properties, using unique technologies and science of scale techniques to enable small samples to reliably predict large scale behaviour. This expertise supports the testing and characterisation of early stage development formulations for manufacturing processes, trouble shooting existing formulations and production processes, and bespoke testing to generate data for quality by design and computer modelling projects. The company undertakes projects for major pharmaceutical companies – including AstraZeneca, BMS, GSK, J&J, Merck, Pfizer, and Sanofi-Aventis – helping them to make huge savings in both time and money during the scale up and production process. Since Mestrelab was created, (and even when it was a research project at Santiago de Compostela University), its mission was has been to deliver top quality software tools for the scientific research community and to continuously strive to push the state-of-the-art in Graphical User Interfaces, software integration and software science. R&D is the primary focus and heart of Mestrelab; as well as excellence on customer support. Microtech Ceramics has developed a unique ceramic product with the potential to revolutionize the emissions performance of internal combustion engines. Nemaura Pharma are engaged in the pursuit of creating novel drug delivery systems utilizing advanced micro and nano systems. These advanced drug delivery systems are designed to increase the effectiveness and safety of therapeutic drugs, while also reducing complications due to patient non-compliance and mitigating the side effects of less efficient delivery systems. On Point Innovation's 'Swish' is an innovative mop and bucket that eliminates the need to lift heavy amounts of water when mopping the floor. The product is specifically designed to help enable those who suffer from these pains to regain their independence and to be more active. Specialist multi-channel IT software solutions specifically developed for the clothing, footwear and accessories sector. 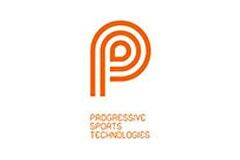 Based in Loughborough University's world leading Sports Technology Institute, Progressive provide a comprehensive range of research-led product development services to major global sports brands. Protocol IT was established in 2007 to develop and support software solutions, including embedded systems, LAN networks and web technologies. The company specialises in the automation of processes, database manipulation and online case management solutions. RaceStream is a live-streaming camera designed for specifically for Motorsport. It enables engineers and fans to see the drivers view as the race happens. It allows teams to give instantaneous coaching to drivers and event organisers to bring fans closer to the action. RLC-lab is a unique mixture of commercial chemistry research and social enterprise. Our core skills are in the application of chromatograph and spectroscopic techniques to support in-house and client projects. We are also proud to play a wider educational role in providing free STEM support to all schools and colleges in the UK – working in partnership with Loughborough University this is the biggest practical science 16+ STEM scheme in the country. Segura Systems gives businesses deep insight into their manufacturing supply chain, enabling them to mitigate risk, guarantee ethical sourcing, and save money. Several of the UK's biggest high street retailers, representing approaching 35,000 factories worldwide are using Segura's products to map and manage their global supply chains and monitor transactional order flows. Shadow Foundr is the fully authorised and regulated Crowdfunding Platform that lets you follow the lead of experienced investors into early-stage companies. All of our opportunities are funded to a minimum of 30% before they appear on the platform, meaning an investment has serious backing before you commit. Collectively, over the past 7 years, the team at Shadow Foundr has raised in excess of £80m in equity funding, from their networks of business angels and investors. We understand Crowdfunding is an exciting concept but we also understand the importance of putting the investors’ interests and compliance at the core of the activity. Sino UK Links Consultancy Ltd. provides various business consultancy services in green business and renewable energy fields in terms of technology transfer, product outsourcing, investment matching and training between China and UK. The Governing Body for English skiers and snowboarders is recognised by Sport England, the Sport and Recreational Alliance and the British Olympic Association. It is a Federation of member clubs and associated individuals with a current aggregate membership of 25,000 skiers. Sport England invests National Lottery and Exchequer funding in organisations and projects that will grow and sustain participation in grassroots sport and create opportunities for people to excel at their chosen sport’. 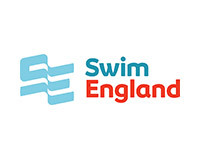 Swim England is the national governing body for swimming in England. We help people learn how to swim, enjoy the water safely, and compete in all our sports. We work with our partners to create engaging programmes that enable everyone to be active, have fun and stay healthy through swimming. At our heart Swim England is a membership organisation dedicated to supporting our clubs and members to develop and succeed. We maintain the laws of the sport and run world-class national events that are open to all. t4i Engineering addresses the challenges faced by search and rescue specialists working in toxic environments through the design, development and integration of modular and adaptive detectors and locators. It also provides single point contact and network facilitation services for research consortia, and leads on R&D which integrates emerging technologies into detectors. A member of the Integrated Mission Group for Security (IMGS) and Innovate UK’s Robotics and Autonomous Systems Special Interest Group, the company participates in the EDEN supplier platform and the DRIVER community as well as the TOXI-triage project. T4i engineering use GPS coordinates in our chemical detectors for geo-referencing chemical measurements taken in the field. 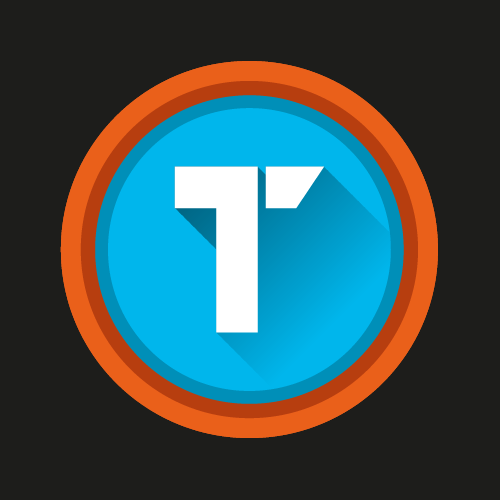 Team-Triumph are a new triathlon team, made up of 4 elite athletes who are bringing together their vast knowledge and experience and applying it to coaching. Providing bespoke high-performance coaching for Elites, age-group, novice and youths through one to ones, international training camps, corporate days, online programs and technique workshops. Tested Works is a startup specializing in applying artificial intelligence to solve business problems. They are currently developing a cloud-based computer vision platform. It makes it easy and affordable for businesses to automate crucial parts of their operations and gain new insights. TFM Networks Ltd (TFM) is a market leading, business only, Telecom Provider, which offers a complete range of business only services from traditional telephone lines and mobiles, right through to integrated IT communication solutions ,voice and data networks, and access technologies including ADSL, Leased Lines, E.F.M. Circuits Ethernet over fibre and 3G. Tzuka are currently designing and prototyping durable sports earphones, specifically engineered to survive the rougher environment experienced in weight dominant sports. The current ‘sports’ earphone market is saturated with earphones supporting the needs of runners, leaving those who incorporate weights into their workouts using a product which is not designed for such a purpose. The UK Talent Team is a working collaboration between UK Sport and the English Institute of Sport with the remit of supporting the National Governing Bodies of targeted Olympic and Paralympic sports to identify, confirm and develop talented athletes. The business provides a consultancy and solution services to world leading museums through integrating advanced digital technologies into innovative processes for archaeological restoration. This business is an extension of PhD research which developed a system of innovative methods with a cost and timescale model for restoration. Volleyball England aims to support the game in all its forms, generate new ideas and plan an exciting period of growth and increased participation. Waves is a platform where users match based on common events. It will prioritise the event element and will limit conversation, to encourage users to actually meet in person rather than continue chatting online. Wellington Murphy is a bespoke ceramic floral arrangement service. Their custom design service allows for an abundance of colours, finishes and sizes - perfect for the home, as wedding decoration, and as the perfect special gift. Specialists in 'point of experience' feedback, We Love Surveys focus on the moments of truth in any experience that prompt a feeling. They do this for the benefit of the business and future customers, colleagues and patients; They provide tools, experiences and support making sure that any feedback collected brings positive action. The Youth Sport Trust is a charity that is passionate about helping all young people to achieve their full potential by delivering high quality physical education and sport. We have driven many improvements in PE and school sport, and are continuously looking for new ways to inspire young people to participate, compete, volunteer and officiate.